Provide comfort for the family of Karen Ferster with a meaningful gesture of sympathy. 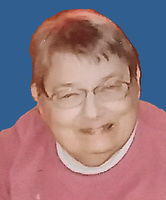 Karen L. Ferster, 73, of Richfield, passed away at 12:15 p.m. on Friday, Feb. 8, 2019 at the Richfield Senior Living and Rehabilitation Center in Richfield. Born on Sept. 13, 1945 in Richfield, Juniata County, she is a daughter of the late Howard W. and Helen L. (Renninger) Ferster. She is survived by: one sister, Janet E. Losch and her husband Richard of Richfield; one aunt, Muriel Stouffer; two uncles, Claude Renninger and his wife Lola Mary and Earl Ferster; and several generations of nieces and nephews. Karen was a 1964 graduate of Middleburg Joint High School and was employed and retired after 36 years of service as a mail clerk for the Pennsylvania Department of Transportation. Miss Ferster was a member of the Richfield Life Ministries Church and enjoyed counted cross stitch, traveling, crossword and jigsaw puzzles, coloring, taking pictures, and helping at church with the children’s Awana program, but most importantly, she cherished the time spent with her family, especially her nieces and nephews. Funeral services will be held at 10:30 am, Friday, Feb. 15, 2019 at the Richfield Life Ministries Church, 167 Church St., Richfield with Pastor Aaron Benner officiating. Interment will follow in the Richfield Union Cemetery. A Viewing will be held on Thursday, Feb. 14, 2019 from 5-7 p.m. at the Richfield Life Ministries Church and from 9:30 a.m. until the time of the funeral services at 10:30 a.m., Friday at the Church. The family will provide all funeral flowers and kindly request that any memorial contributions in Miss Ferster’s memory may be made to the Richfield Life Ministries Church Building Fund, 167 Church St., Richfield, PA 17086. To send flowers in memory of Karen L. Ferster, please visit our Heartfelt Sympathies Store. Provide comfort for the family of Karen L. Ferster by sending flowers. I am sorry for your loss. Continue to let your fond memories warm your hearts as you await the fulfillment of God’s promise to resurrect our loved ones. John 5:28, 29.